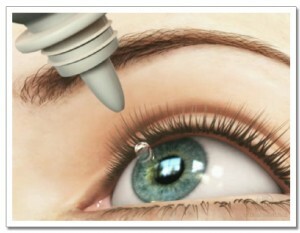 Eye drops provide much needed relief for various forms of eye irritations. They are available in different packagings and come in quite a number of different forms. They can differ in base strength, duration, vary in their composition, ingredients, and are sometimes designed for general or all-purpose relief. In other cases, they are designed to address particular irritations or eye related problems. 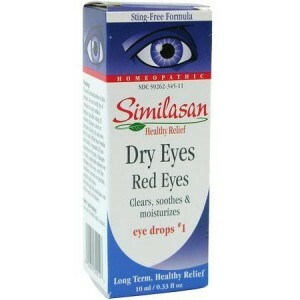 Various types of eye drops are available for purchase online to provide aid to people who suffer from one or more of any number of drying conditions that affect your eyes negatively. Conveniently packaged with 100 single-use vials inside, this product from Allergan provides natural tear moisturizing relief for dry eyes. It is preservative-free, thus effective in alleviating both non-severe dry-eye and severe dry-eye irritations. This product is specifically designed to alleviate irritated dry eyes, sore eyes, burning, or otherwise painful eye-conditions and contact lens related discomfort. These drops provide relief and a protectant healing solution that relieves present pain while also guarding against further irritation. Its usage is designed for 24-hour comfort, with multiple uses within that period allowed. Single vials may be used partially with the remainder being re-used at the discretion of the consumer. Note that, as preservative-free, the vials should not be utilized after 24 hours of being open. Over 300 online reviews give this product an excellent 4.5 of 5 star rating, with special emphasis paid to the lack of stinging or other negative effects when the drops are applied. The efficiency of possible multiple uses from each single vial, the lengthy duration of positive effects after each use, and the products particular helpfulness for dry-eye conditions stemming from surgery-related (e.g., Lasik) drying are among the highest-rated benefits associated with the product. Dry eyes are a common irritation with many unpleasant effects such as pain, sensitivity to light, wind, and air temperature. Sometimes, there can also be other sensations such as feeling an obstruction of some type in one or both eyes, achiness or itchiness, redness, obscured vision, and tearing. In addition to these discomforts, dry-eye conditions can cause annoyance and significant stress that cause distractions when a person suffering from the affliction is at home or at work. The fundamental cause of dry eyes is the absence of naturally produced amounts of lubrication on the surfaces of the eye. The root causes can vary greatly depending on the specific irritations involved with a condition. Aging is one simple but often significant factor. Poor nutrition is yet another basic but often overlooked cause as are structural deficiencies of the tear ducts, eyelids or other lubrication related components of the complex and inter-related eye mechanisms. The use or overuse of medications, even when those medications are not ingested for any eye-related condition can be a contributing factor as well. Various diseases or illnesses can create dry-eye conditions, as will eye-strain from extensive TV-watching or reading in poor light. Post-surgery healing or complications can also lead to irritation from dry eyes. There are also many external or environmental factors that contribute to dry-eye conditions such as strong winds, extreme cold or warm weather, smoky or dusty air conditions, and dry temperatures, among others. In all cases, a wide variety of healing solutions are available to those who are suffering from these types of conditions. The fundamental solution to the problem of dry eyes is to provide your eyes with the needed lubrication. Eye drops provide this solution, but it should be noted that there are many distinct methods of care, which may be more appropriate in some cases. There may be obstructions within or around an individual’s tear ducts that can be treated directly. Heat-applications or pressure applications such as blocks, compresses, and related methods can also provide relief. There are prescription options that can provide solutions as well, with steroid-based medicines or nutritional supplements also being helpful in certain cases. Gel or ointment-based lubricants can sometimes provide a viable solution. Additionally, anti-redness medications are designed to remove the red eye condition that often accompanies dry eyes and is readily available in most drug stores and online. In contrast to the other available remedies, eye drops provide a convenient, easily accessible, and relatively inexpensive way to alleviate irritation and fix many of the unpleasant effects of dry-eye conditions. They provide the primary requirement for healthy eyes and the simplest solution, extra lubrication. Consumers seeking effective eye drops for dry-eye irritations should be mindful of the cost and the capacity of the various eye drop products available. One primary difference between different eye-drop brands is if a particular product has preservatives or is preservative-free. The former is positive for general care and is best used for non-severe dry-eye irritations. They can typically be used quite safely over a lengthy period of time without any negative effects. Through the presence of chemical additives, some eye drops prevent bacteria growth as an added protection. Preservative-free eye drops are helpful for many dry-eye conditions, severe or otherwise, although they are typically more expensive. 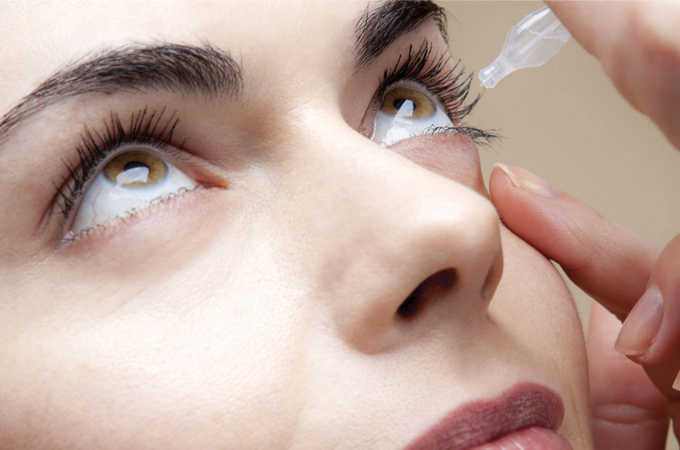 These types of eye drop resupply missing moisture on the surface of the eyes in a more effective and more lasting fashion than most preservative-based lubricants. The difference between dosage amounts can be a factor as well. Preservative-containing eye drops will often be found in single containers, with the amounts dispensed relative to the user’s own discretion and condition. While this may be daunting to some buyers, these multi-bottle products are readily available and often provide an effective solution. By contrast, preservative-free eye drops frequently come in a single-dose size, with many doses found in a single package. Various other considerations may be reviewed by consumers interested in effective eye drops for dry-eye conditions, such as recommended usage for day or night use, recommended frequency of use, and oil-content, which can have helpful or detrimental effects on the eyes. As with all personal health related conditions and products, a consultation with a health-care professional or an eye-care specialist is strongly recommended for any buyer suffering from a serious or even mild dry-eye condition.